Dominance breeds complacency, which is a bastardisation of a saying I can’t quite properly remember. Sony are sitting pretty at the top of this console generation, comfortably outselling all of their rivals and continually upping their game with new exclusives. This rampant success has given them quite the strange mix of an ego that made their E3 like a weird sit-down dinner with the in-laws and also the kind of paranoia that would make Aerys Targaryen cringe. They refuse to play ball with other platforms just because they don’t have to — “For The Players”, but only our players. Cross-play is something that is closer than it’s ever been, which would have seemed completely ridiculous ten years ago. The barriers are being broken down, slowly but surely, and it’s only Sony who seem to want to keep them standing. Sony staunchly refuses to allow cross-play with other consoles, though it has permitted PS4 players to play against PC players in games like Fortnite — a small miracle, considering. However, it’s also Fortnite in which Sony have embarrassed themselves by throwing their toys out of their pram with the launch of the game on Switch. 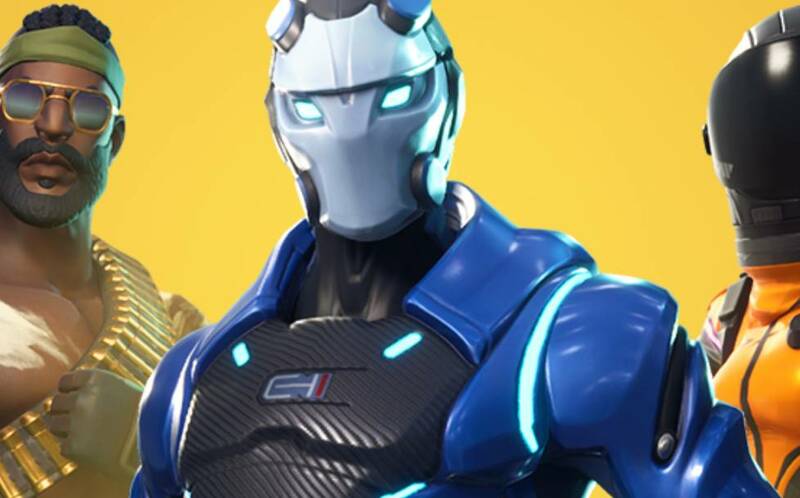 This greeted Fortnite Switch players when they attempted to use their Epic Games account on the console after having previously used it for PS4. At first, it seems like Epic may just not have configured their systems properly, but if you check out the somewhat spicy language used, it appears as if they are throwing side-eye at Sony for the misdemeanour. What this means is that PS4 players cannot carry their progress over to Switch; all of their skins, Battle Pass tiers, and dabs are unavailable, meaning that they have to start out from scratch. If you’re the kind of person to drop $20 on a new skin every time it comes out, you’re going to feel burnt here. And that’s exactly how Fortnite players reacted with the game’s official Twitter account bombarded with concerned replies to every tweet. Epic have yet to comment properly on this decision, though their silence seems to suggest they know where the blame lies. Say what you will about them as a developer and publisher, but they’re one of the most forward and open voices in the industry. My account is originally a PC account. I bought the $150 Save the World on the PC. And Battle Passes. I linked it to PSN once to check out the game on the PS4 and now I am forever locked out of Switch and Xbox. This is a Sony policy that Epic is shackled with. That’s just a sample of the disgust, the amount of annoyance and backlash threatening to overshadow the Pro-Am in terms of social media reach. It shows no signs of abating, which, interspersed between the Skull Trooper demands and like begging, isn’t exactly what Epic want to be dealing with right now. It’s not their fault, though. Epic have been proponents for cross-play for a long time, evidenced by them “accidentally” flipping a switch and creating cross-play between PS4 and Xbox One players. That it was that easy to do proves that it’s just Sony blocking progress, just because they can. They’ve previously blamed “security reasons” when explaining when they did the same to Minecraft and Rocket League, which is a lazier excuse than blaming farts on the dog. Sony are looking pretty on top of their castle this generation, but just ask Microsoft: that can change very quickly. It’s a lost cause to ask them to see sense for the rest of the PS4’s life-cycle, but if we reach the PS5 and they are still opposing common sense, it could go as badly for them as the Kinect.